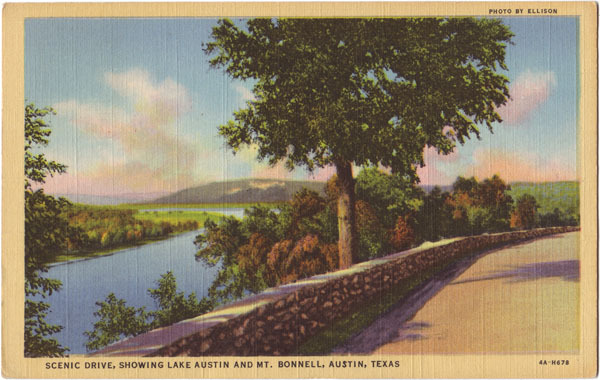 Created by the Austin Dam, Lake Austin winds nearly 23 miles though the hills and mountains west of Austin. Many breath-taking views such as this may be seen from the Scenic Loop Drive. In the distance is Mt. Bonnell, highest in the range of hills, standing guard like a sentinel over the Colorado – a favorite destination of hikers.